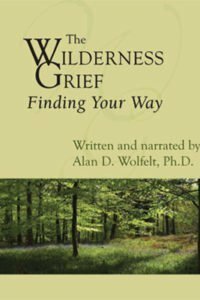 One of North America’s leading grief educators, Dr. Alan Wolfelt has written many books about healing in grief. 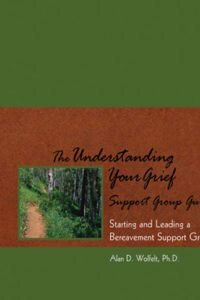 This book is his most comprehensive, covering the essential lessons that mourners have taught him in his three decades of working with the bereaved. 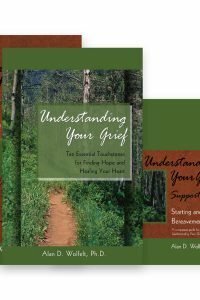 In compassionate, down-to-earth language, Understanding Your Grief describes ten touchstones—or trail markers—that are essential physical, emotional, cognitive, social, and spiritual signs for mourners to look for on their journey through grief. Open to the presence of your loss. 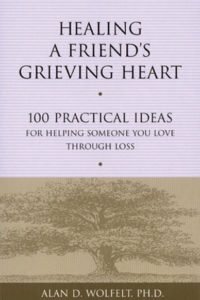 Embrace the uniqueness of your grief. Explore what you might experience. Recognize you are not crazy. Understand the six needs of mourning. Think of your grief as a wilderness—a vast, inhospitable forest. You must journey through this wilderness. To find your way out, you must become acquainted with its terrain and learn to follow the sometimes hard-to-find trail that leads to healing. 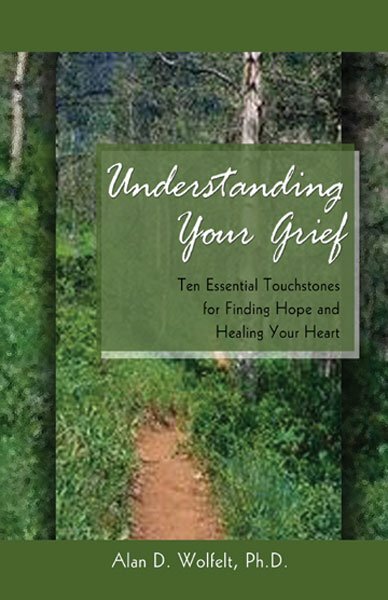 In the wilderness of your grief, the touchstones are your trail markers. They are the signs that let you know you are on the right path. When you learn to identify and rely on the touchstones, you will find your way to hope and healing. 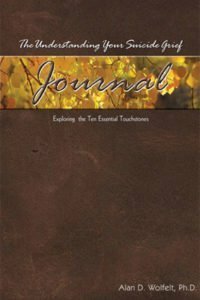 The companion journal now provides space for writing and reflection. 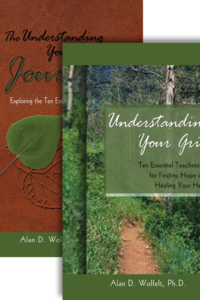 The text and the journal are available to purchase as a set.